Look, we're not going to claim that Halloween is the best holiday for decor, but we will say that with the right approach, it can actually be quite cool. Of course, out of all the holidays, Halloween probably isn't the one you want to be spending a crazy amount on. After all, an empty bank account is more terrifying than any ghost. 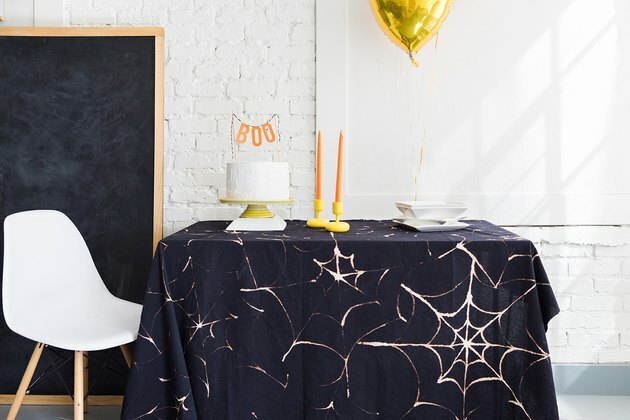 Dress up your space on the cheap with these easy DIY Halloween decorations. Skip the ghost costume. 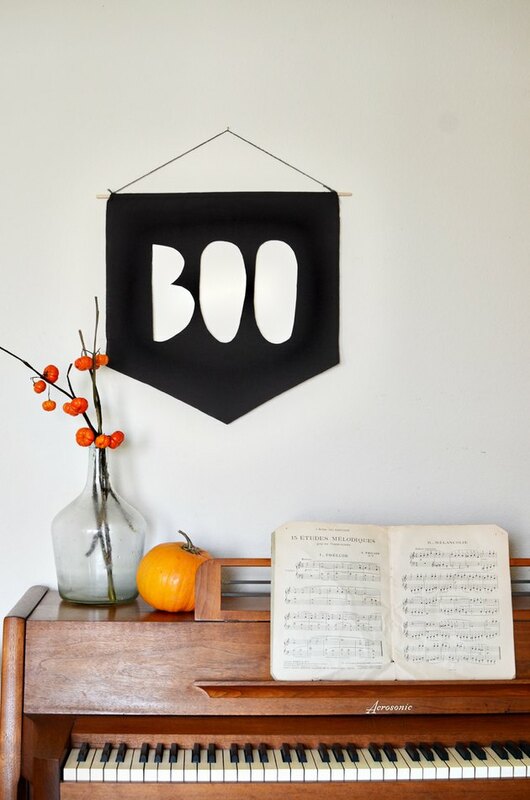 This on-trend pendant says it plainly: Boo. Simple lines pair perfectly with your everyday decorations. Hang alongside orange flowers and an unpainted pumpkin for a plain yet impactful DIY Halloween decoration. Ditch the overdone orange-and-black theme for an upscale take on Halloween. 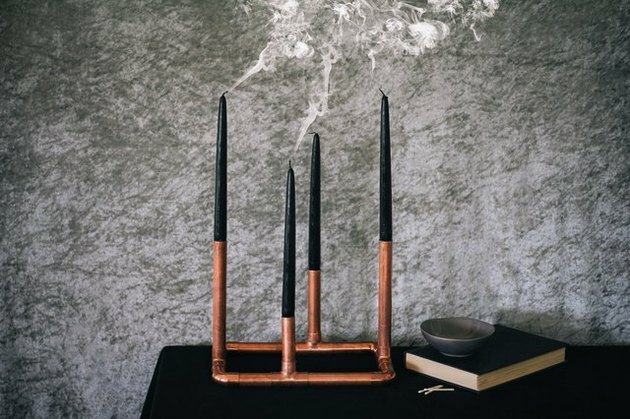 Pairing easy-to-DIY copper candelabras with black candles transforms your home into a cathedral of (chic) horror. 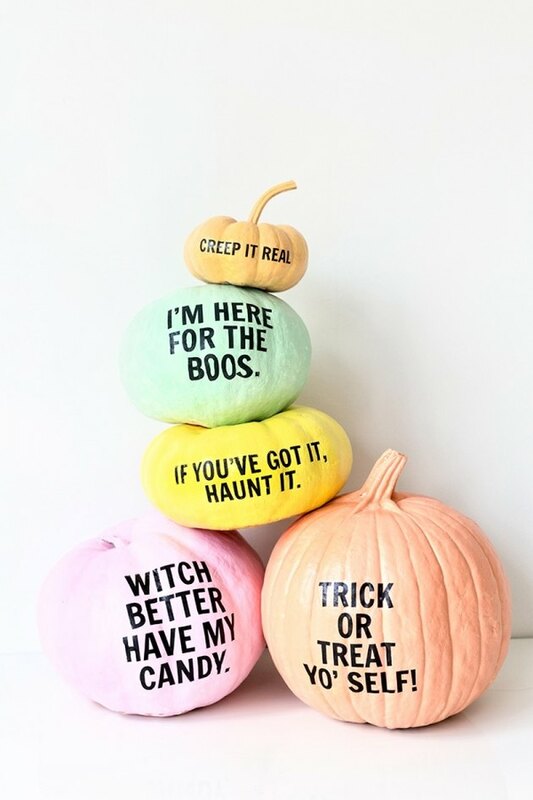 Halloween decorations don't have to scare your pants off. They are (gasp) even allowed to be cute. Follow Handmade Charlotte's idea: Paint mini-pumpkins in jewel tones and give them jaunty, colorful hats to give your holiday mantel a pop. Here's a ridiculously easy DIY Halloween decoration: Set up this still life bat habitat to create a creepy (but pretty) centerpiece. 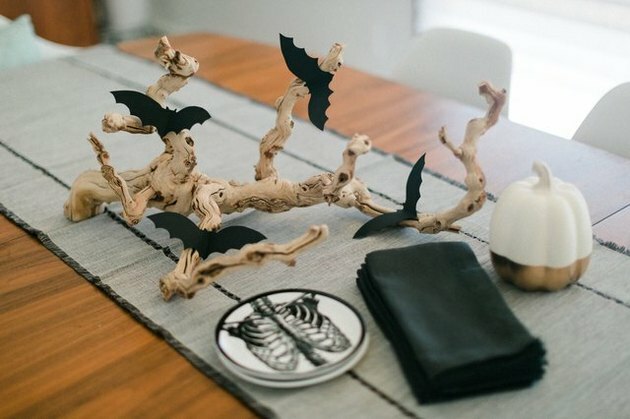 Glue printable bats onto a branch and your guests might believe they've stumbled across a haunted desert seance. 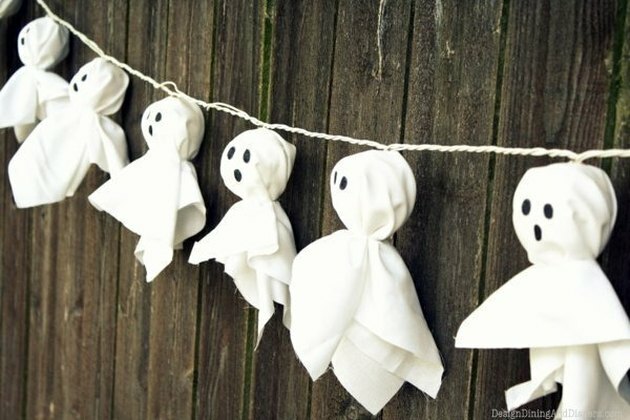 String this illuminated garland across your backyard fence to transform your outdoor space into a graveyard. White lantern lights are easily found at any home decor store — follow the directions from Taryn Whiteaker to transform the globes into spooky glowing spirits. Maintain your home's pristine modern aesthetic and bring a Halloween vibe to your entryway with these easy DIY paper lanterns from Motte. 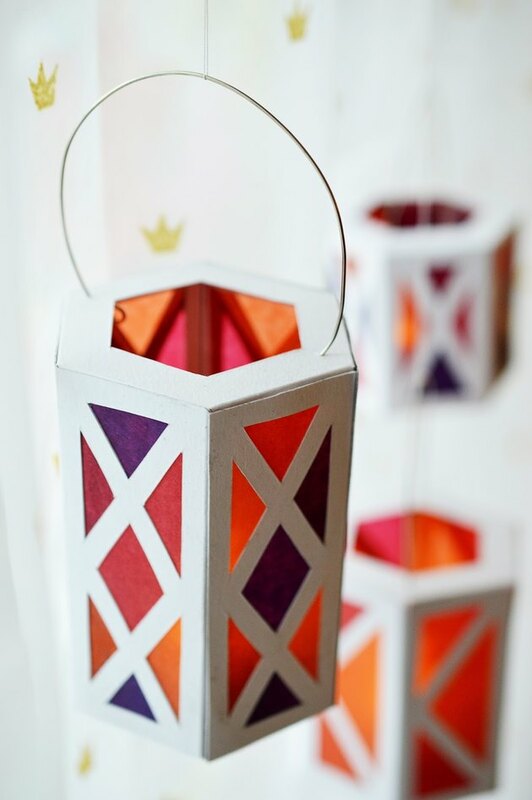 Colored wax paper gives the lantern an orange glow, and cut-out cardboard paper brings the geometric style. Just because Halloween is a celebration of everything dead doesn't mean a few living things can't sneak into your decor. 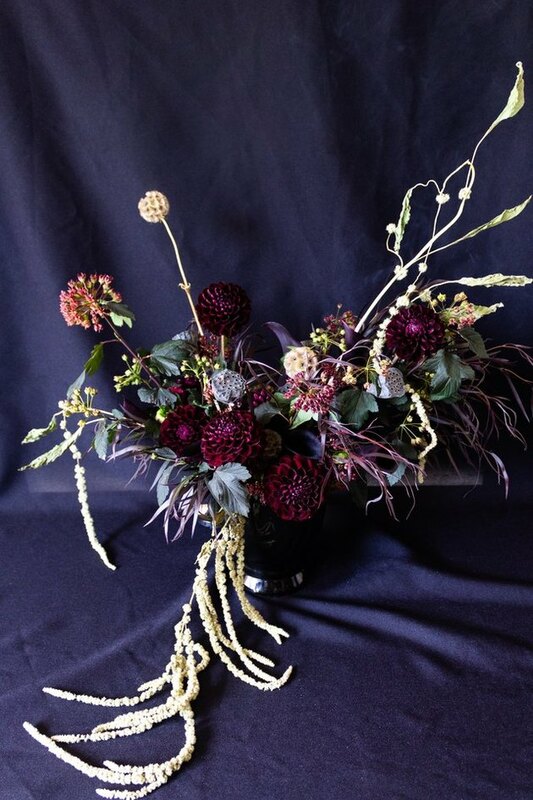 Pull together a dark, dramatic bouquet full of rich burgundy hues to underscore the evening's drama. You may not be a psychic, but your party can look like a diviner's workroom with this quick candlestick DIY from Flamingo Toes. 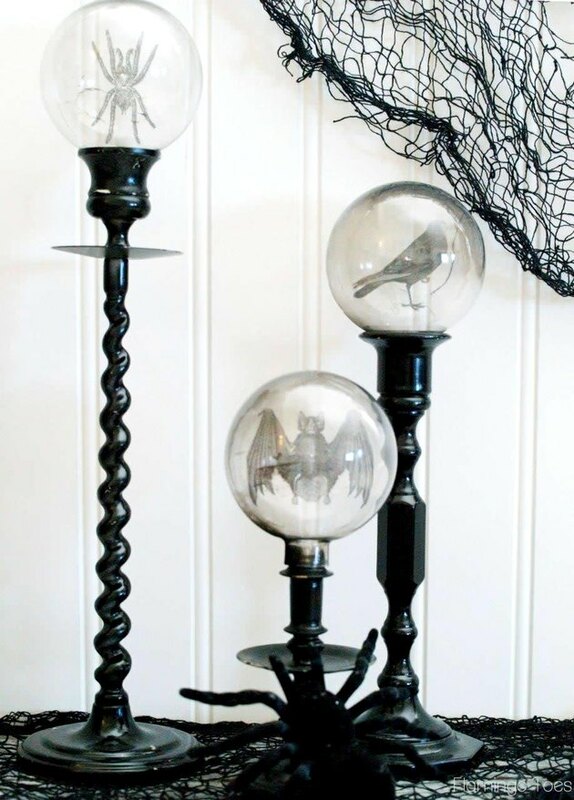 Spray paint carved candlesticks black and use clear Christmas ornaments to create the crystal ball toppers. Invite your friends to visit your spooky apothecary shop — also known as your living room. 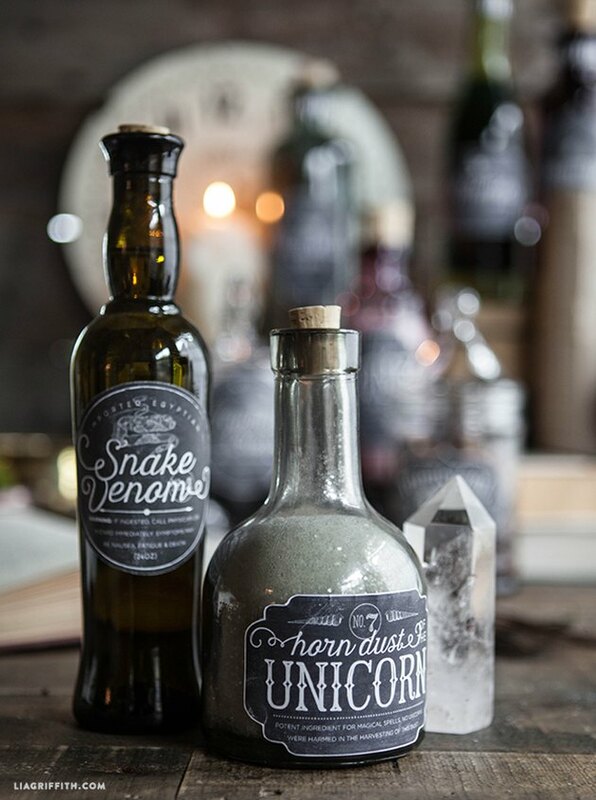 Mod Podge these printable labels on old bottles for an eerie addition to your decor. Bring some retro style to your holiday celebration. This black Pac-Man banner from Minie Co is sufficiently spooky — Inky, Blinky, Pinky, and Clyde were terrifying in their unending pursuit — without being too frightening. 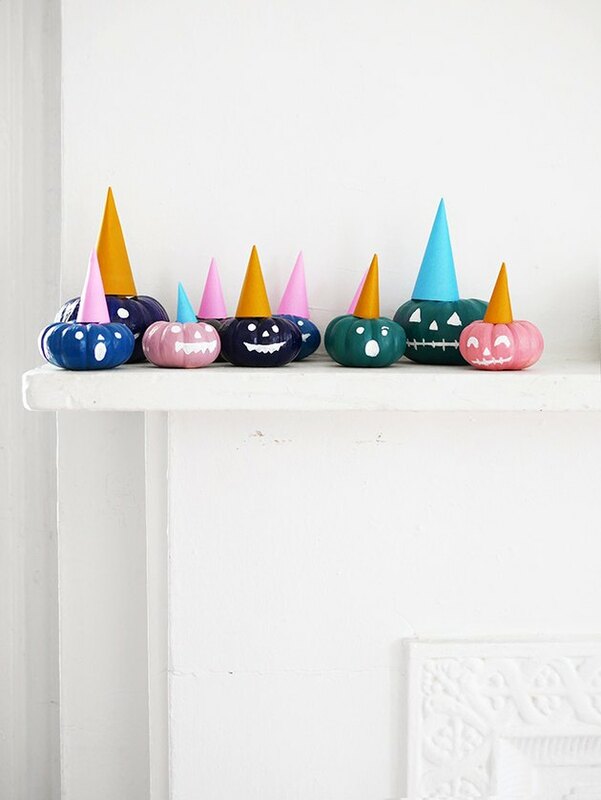 We love Studio DIY's take on easy DIY Halloween decorations. Mix together some pastel paint and some tattoo paper, and you've got yourself an Instagrammable moment.